Achieve your goals and maximize user adoption with the right implementation roadmap. Our roadmap helps determine your total cost of ownership (TCO), an implementation strategy that fits your organization, and the steps required to ensure success. You’ve decided on a cloud or hybrid approach. Now how do you get there? Building an implementation strategy isn’t a one-size-fits-all proposition. In fact, it might feel like hitting the road without a GPS. 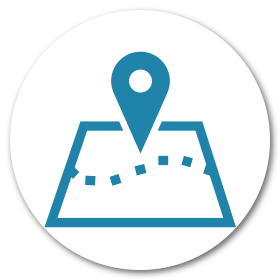 To create your roadmap, our team first works with you to help rationalize the TCO and ROI of your on-premise applications vs. transitioning to the cloud. Creating a roadmap requires a holistic view of your organization, including processes, technologies and people. We then work with you to develop a complete business transformation plan and roadmap to ensure that whatever you do, your new processes and technologies are aligned with your overall corporate objectives and strategies. Your roadmap lays the foundation for successful business transformation in pursuit of company goals and objectives, and allows you to better mobilize, deliver, and manage the attainment of business value from your implementation. AltaFlux Corporation is a global HCM cloud consulting partner based in Troy, Michigan. We empower organizations by streamlining, transforming, and optimizing key human capital management (HCM) processes with industry-leading HCM cloud solutions like SAP SuccessFactors, Benefitfocus, WorkForce Software and Dell Boomi. © Copyright 2015-2020 AltaFlux Corporation. Featured logos are trademarks of their respective owners. Third party trademarks, logos and trade names appearing on the site are the property of their respective owners.